The Ebook that reads to you! Note: As soon as your order is complete, you will be redirected to the download page for your ebook. Due to browser settings, if you are not redirected to the download page, contact us. Let's Talk! This Ebook can read aloud to you! This Ebook supports Speech APIs so that it can be used to say the selected text or the entire document aloud using headphones or speakers. If you are not sure if your computer supports this, just give it a try! 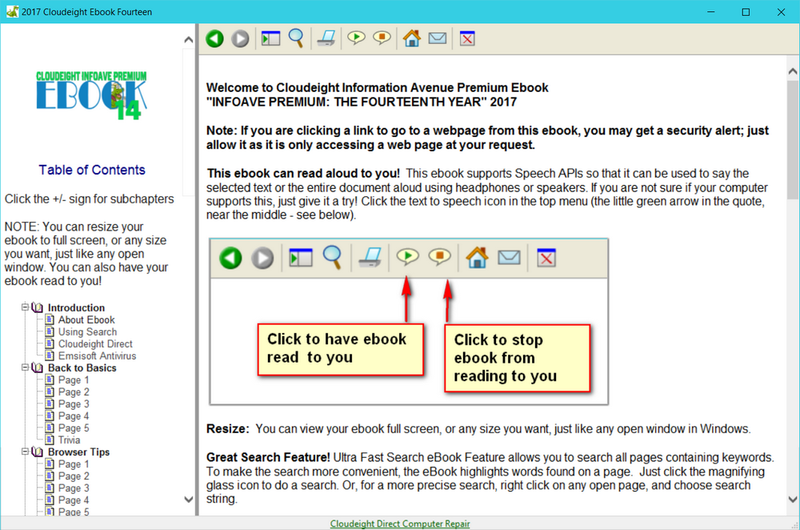 Click the text to speech icon in the top menu of your ebook (the little green arrow in the callout near the middle - see below). Great Search Feature! Ultra Fast Search eBook Feature allows you to search all pages containing keywords. To make the search more convenient, the eBook highlights words found on a page. Just click the magnifying glass icon (see toolbar above) to do a search. You can do specific searches using search strings too, by right clicking any open page of the ebook. Don't worry! This Ebook opens where you left off! When you close your Ebook, it will open where you left off and retain its size, position and also the last opened page. You can also resize the Ebook to make it larger or smaller, or full size (the size of your monitor). Windows 10 Users: This ebook works great in all versions of Windows, including Windows 10. And you'll find that many of the tips and questions apply to Windows 7, Windows 8x and Windows 10 - so there's plenty of useful information no matter what version of Windows you're using. Easy to use - Easy to find what you're looking for! You will find this our new E-book to be easy to navigate and easy to search for quick and easy access to all the information it contains. You'll have hundreds of tips & tricks, answers to the most often-asked questions, freeware & site picks at your fingertips. It's like having a manual for Windows handy whenever you need it. This Ebook contains the all information from our twelfth year of Information Avenue Premium... the past year's issues. We hope you will find this both a useful and valuable resource! Categories & Sections make our E-book easy to use! Our E-book has been categorized into several sections to make it easy to find what your looking for or to find specific articles. You do not have to be online to read your E-book! There are many pages that do make a reference to a page on the web, so if you want to click a hyperlink and go to a link on the web, be sure you are online. Please keep in mind that you may find links or references to pages on the web that may no longer be available since we are covering issues for an entire year and the web does change! Note: As soon as your order is complete, you will be redirected to the download page. Due to browser settings, if you are not redirected to the download page, contact us. Below: Leave the Table of Contents visible for easy navigation, or hide it for easy distraction-free reading. Below: Searching for something? It's easy with our new E-book. 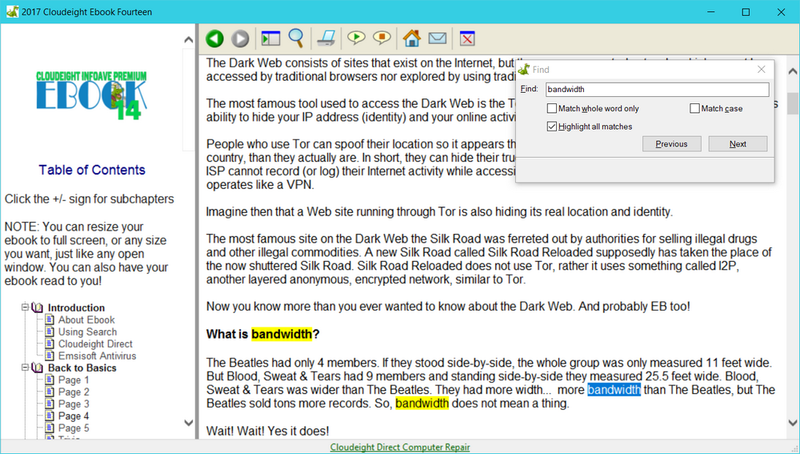 Notice that the word (or words) you're searching for are highlighted so they're easy to find.